McDonald's is betting that Chinese consumers are hungry for more. The world's largest fast food chain announced Tuesday that it plans to open 2,000 new restaurants across the world's most populous nation in just over five years, bringing the total to 4,500. "China will soon become our largest market outside of the United States," said McDonald's CEO Steve Easterbrook. The company and its new business partners in China -- investment firms Citic and Carlyle Group -- are hoping the new outlets will help drive double-digit sales growth for the business every year for the next five years. They're targeting smaller Chinese cities in particular. The new plans come after McDonald's sold off most of the China business to Citic and Carlyle, saying they would bring a better understanding of the local market. Under the deal announced earlier this year, McDonald's still holds a 20% stake in the business. The move was part of Easterbrook's ongoing efforts to overhaul the global burger chain. 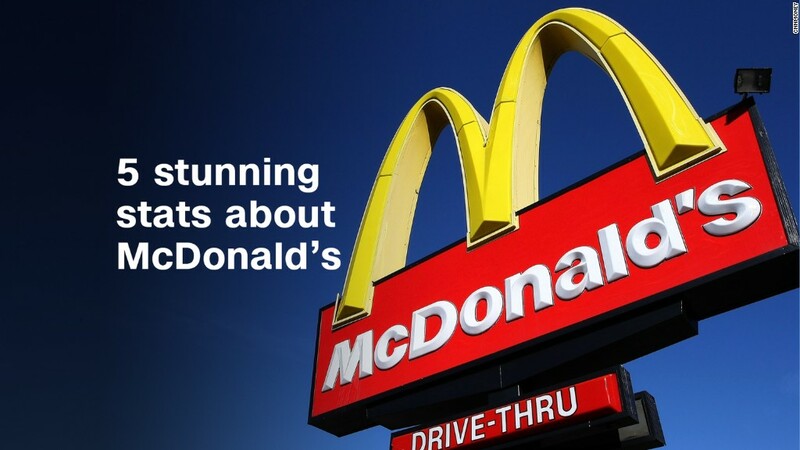 The company's latest financial results pleased investors, with a rise in U.S. sales providing more evidence that Americans are returning to the golden arches. McDonald's isn't the only big U.S. company whose brand is moving deeper into China. Starbucks (SBUX) announced plans last year to open more than one new store a day in China for the next five years. It aims to have 5,000 stores across China by 2021.